Belong in the bathtub and not on the floor. Please put in a hamper and not in a heap. Please follow these rules and watch your mom smile! 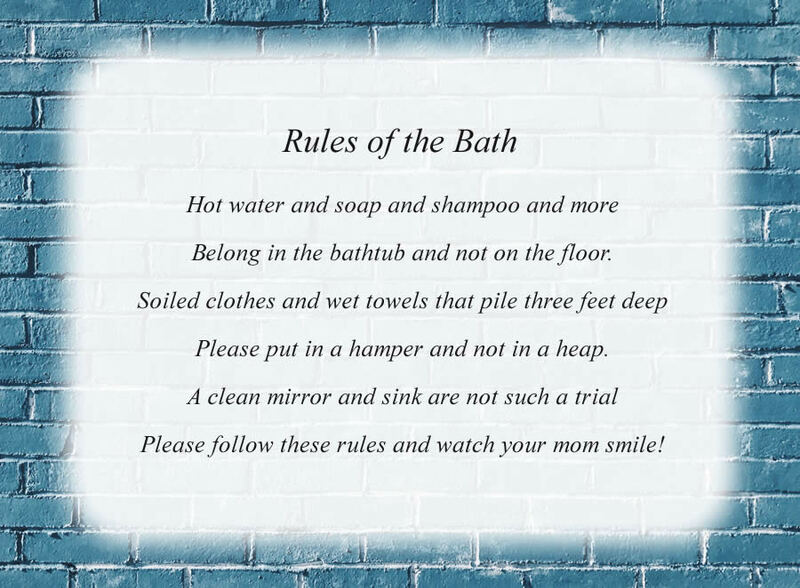 The poem, Rules Of The Bath, is free and printable by opening or downloading using one of the three links below.